My mission is to help you back into the game of life. I understand that a painful joint or a joint that doesn't function properly, can have a huge impact on your quality of life. Whether it's a shoulder or knee problem, your ability to work or to play sports is suddenly reduced. That's where the expertise of an orthopaedic surgeon comes in. I trained in orthopaedic surgery in Perth. My particular interests in ACL reconstruction, rotator cuff repair, knee and shoulder arthroscopy led me to undertake Post Fellowship training both in Australia and North America. My particular areas of expertise are shoulder and knee surgery and surgery for sports injuries. 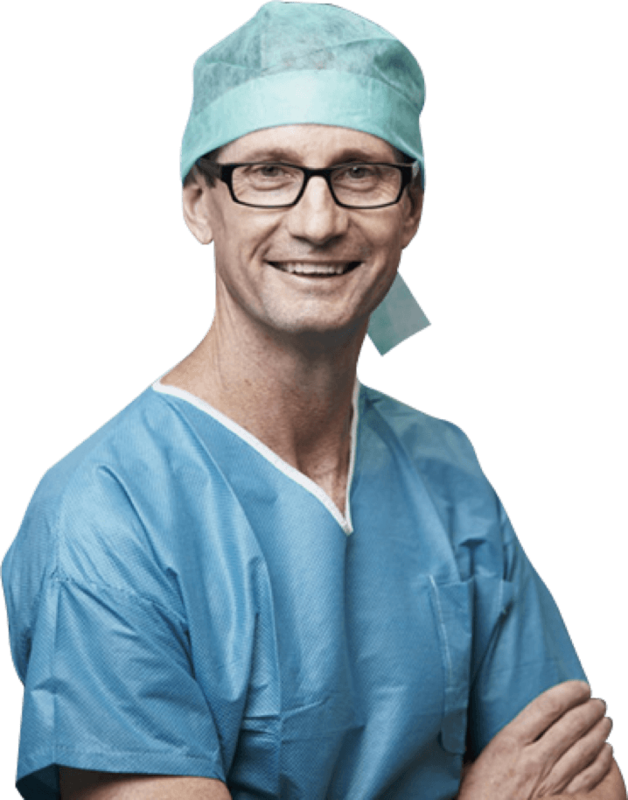 Dr David Colvin trained in orthopaedic surgery in Perth, Western Australia. His particular interest in knee arthroscopy, rotator cuff injury and repair, ACL and shoulder arthroscopy caused him to undertake Post Fellowship training both in Australia and with the Arthroscopy Association of North America. David’s sub-specialty is knee and shoulder surgery and surgery for sports injuries. Not everyone requires surgery as a first line of treatment. We may explore other options first. That's why treatment may consist of exercise, physiotherapy sessions, injections or medication. My role is to make sure that you maintain a high level of motivation. It is an essential component of successful knee or shoulder surgery and rehabilitation. My CO.RE rehab protocols, implementing my experience gained from many years of orthopaedic surgery, will help you with a clear framework to get you back into the game of life.